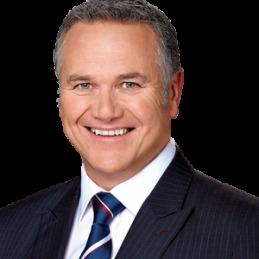 Mitchell began at the Nine Network in 1977 as a sport reporter. In this position he covered sports such as Australian rules football, golf, tennis and the Commonwealth Games. In 1982, Peter became a general news reporter and in this position he covered many major stories including Victoria’s horrific Ash Wednesday bushfires in 1983. In 1987 Mitchell joined the Seven Network and became weekend news presenter. He held this position for 13 years until November 2000 when he replaced David Johnston and Anne Fulwood as the solo weeknight presenter. In 1997, Peter was the first news presenter in Australia to break the news, during an AFL match, that Princess Diana had been killed. His journalism experience has also included writing a weekly column for the Sunday Herald Sun for two years called “Tee for Two” and publishing a book – the biography of Australian golfing legend Peter Thomson, a five-time winner of the prestigious British Open. Peter is a very acomplised Master of Ceromonies for any corpoarte event.